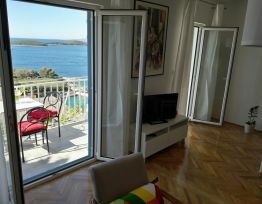 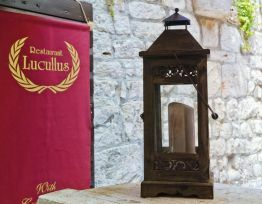 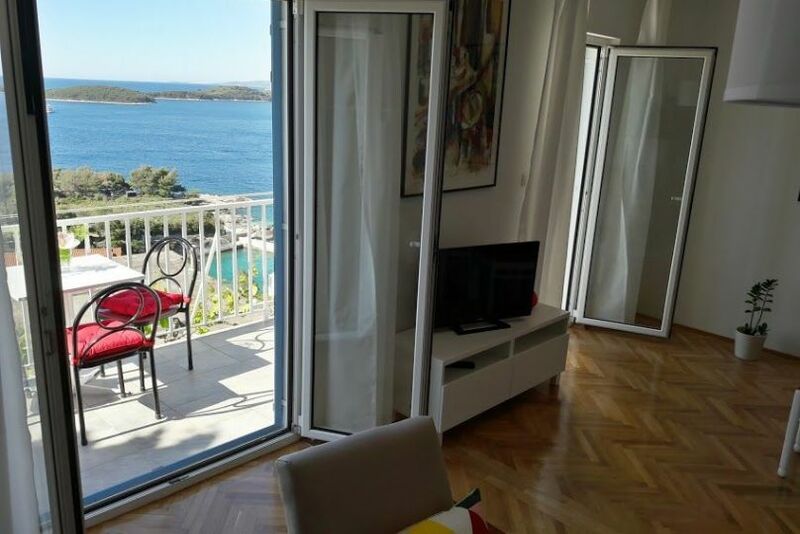 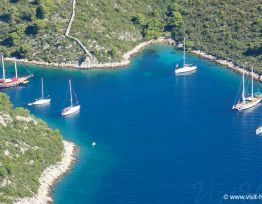 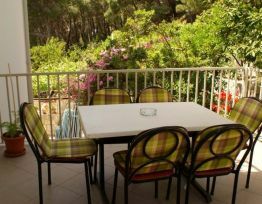 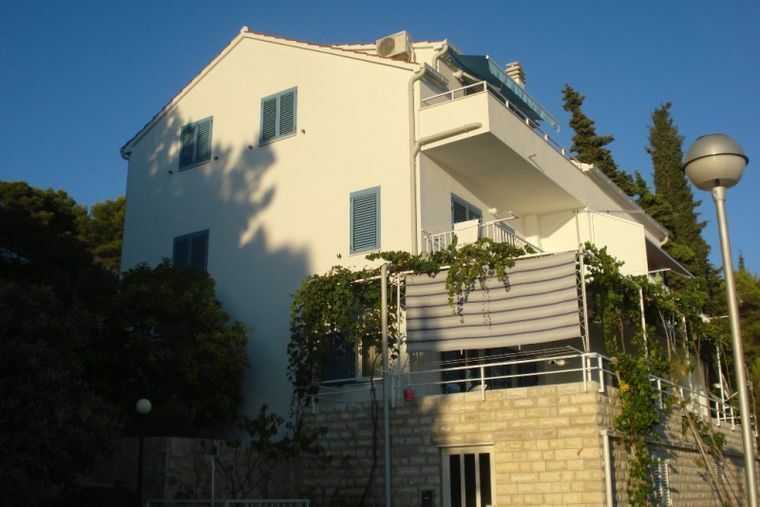 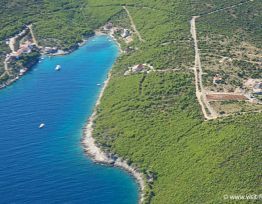 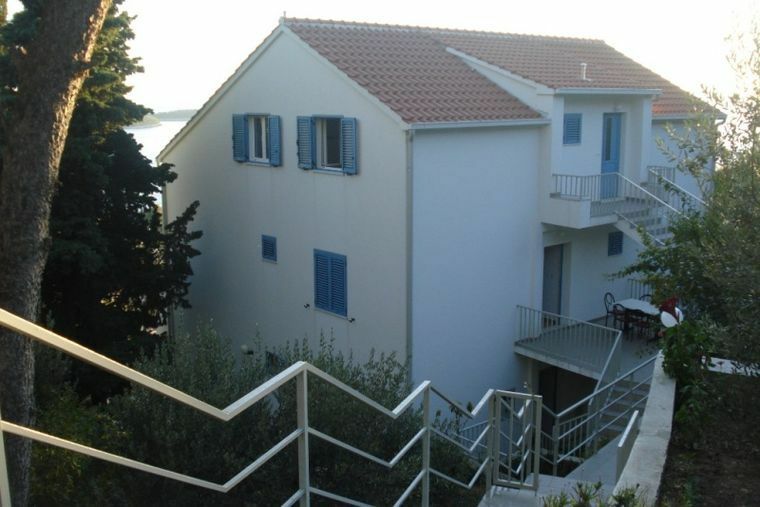 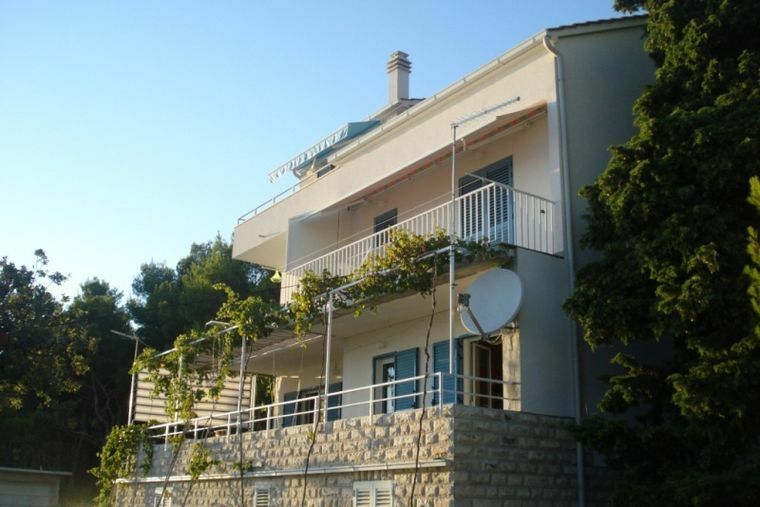 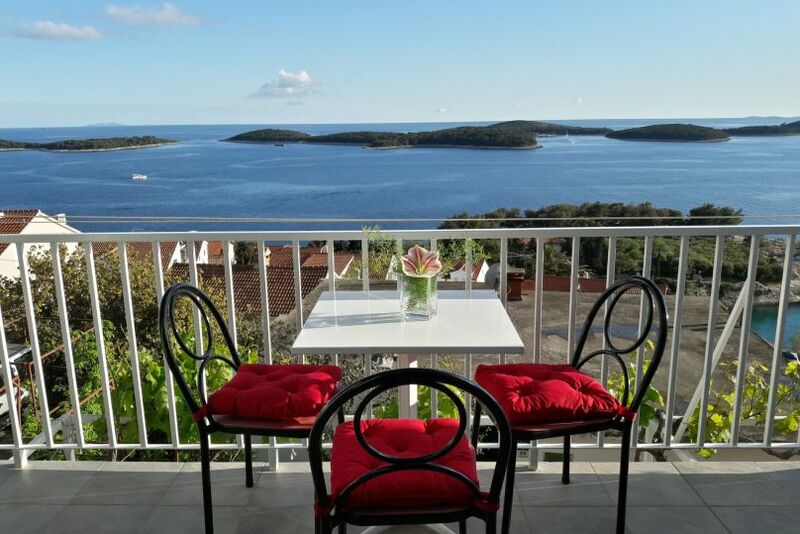 Our family house is located on the top of the hill, in the western part of Hvar, above one of the most beautiful bays, Blue Lagoon. 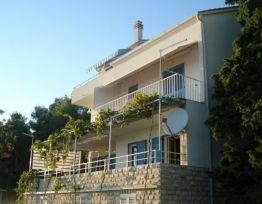 There is about 15-20 minute walk to the town's main square. 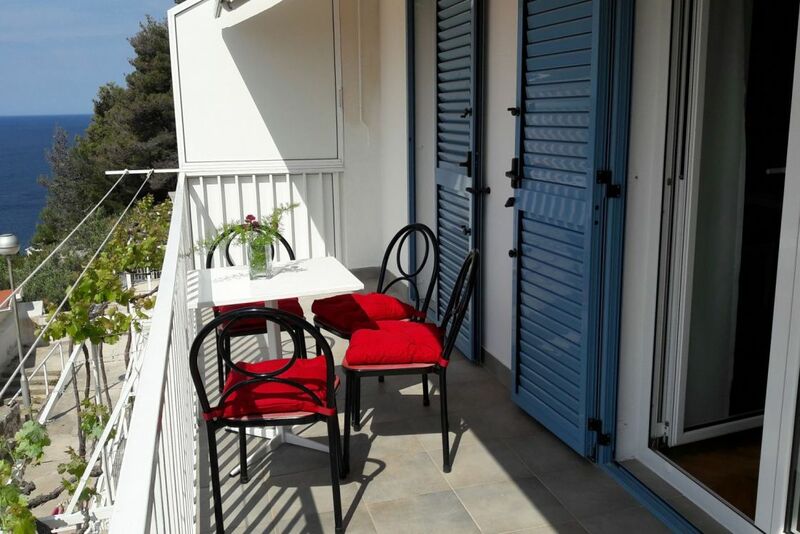 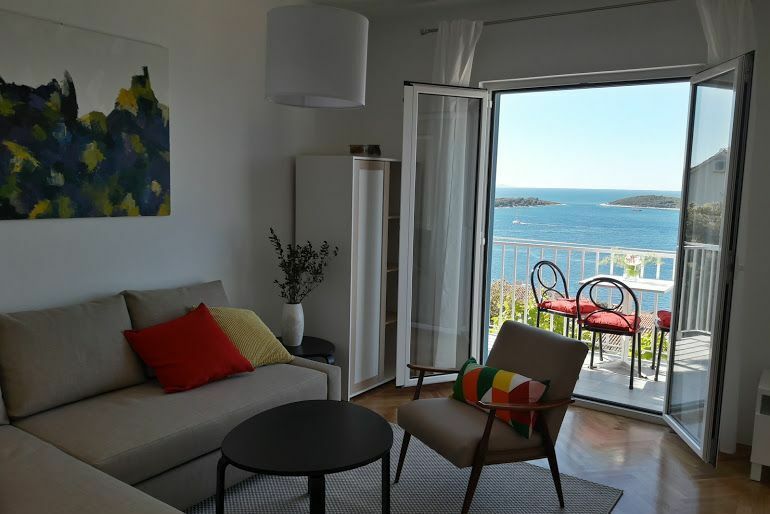 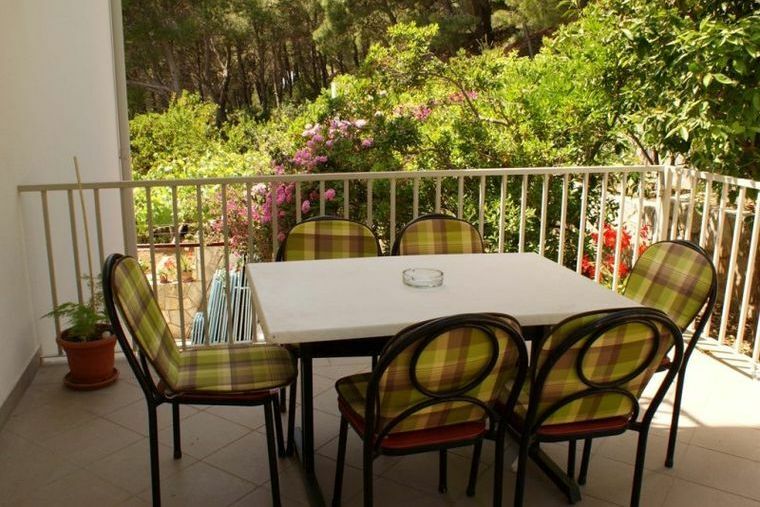 You are close to restaurants, supermarket and local beaches, the famous Hula Hula beach, just a few minutes away, although walking back will require climbing quite a few stairs. 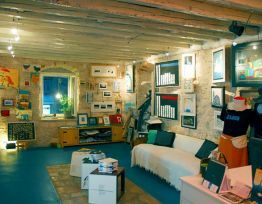 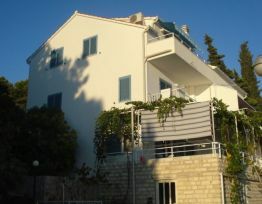 The house is surrounded by nature, pine, olive, lemon and other native Mediterranean trees. 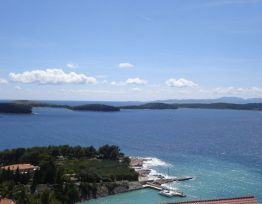 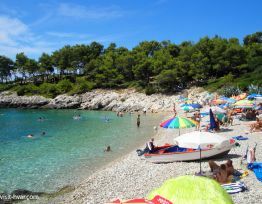 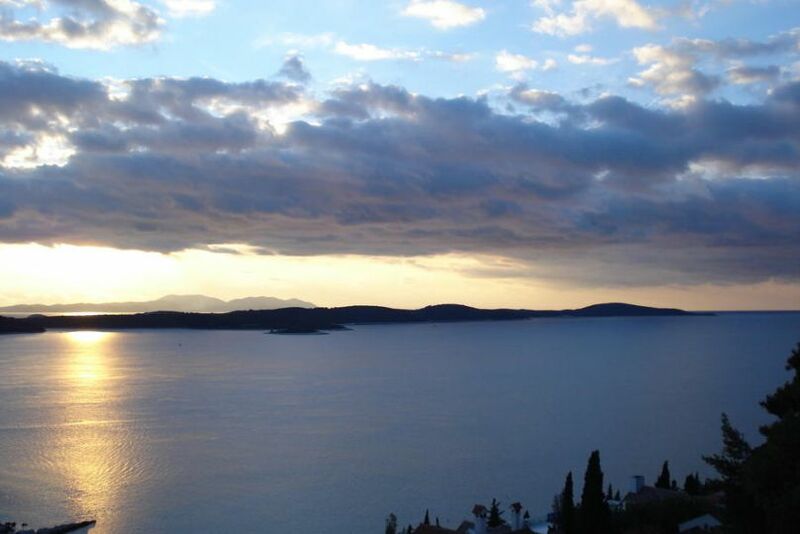 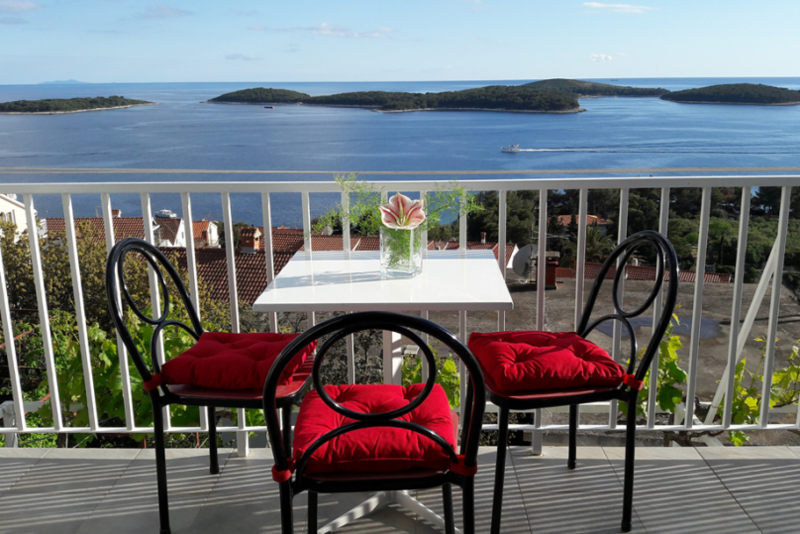 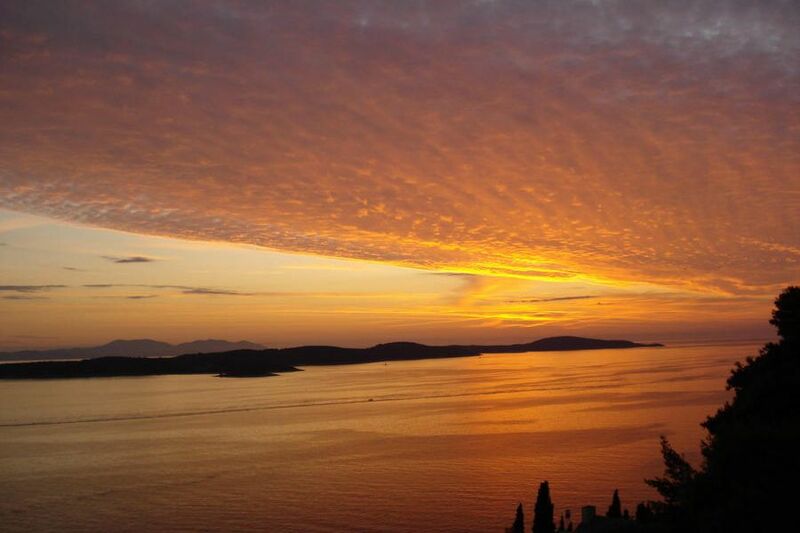 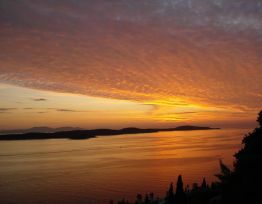 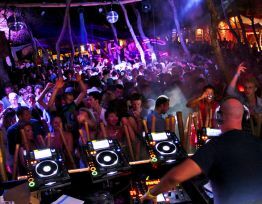 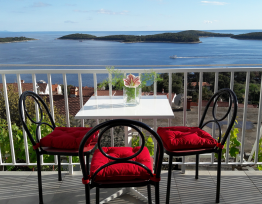 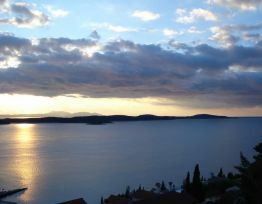 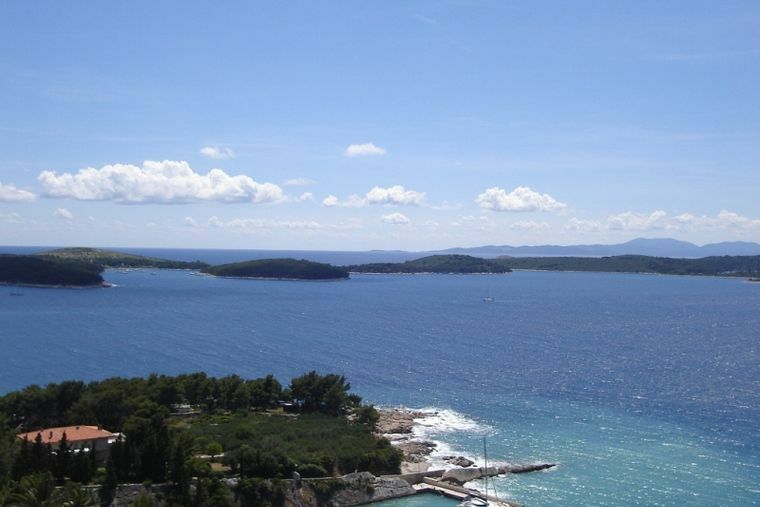 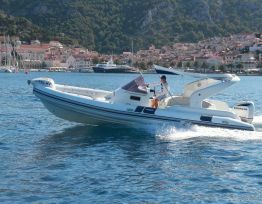 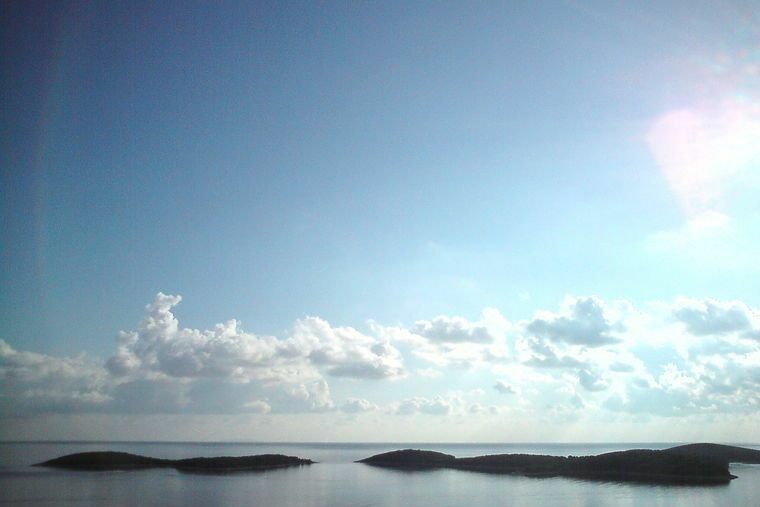 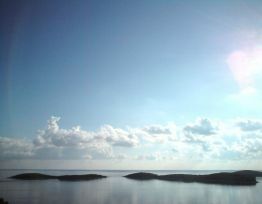 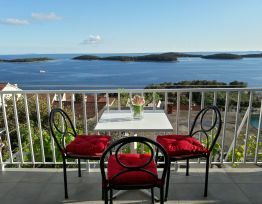 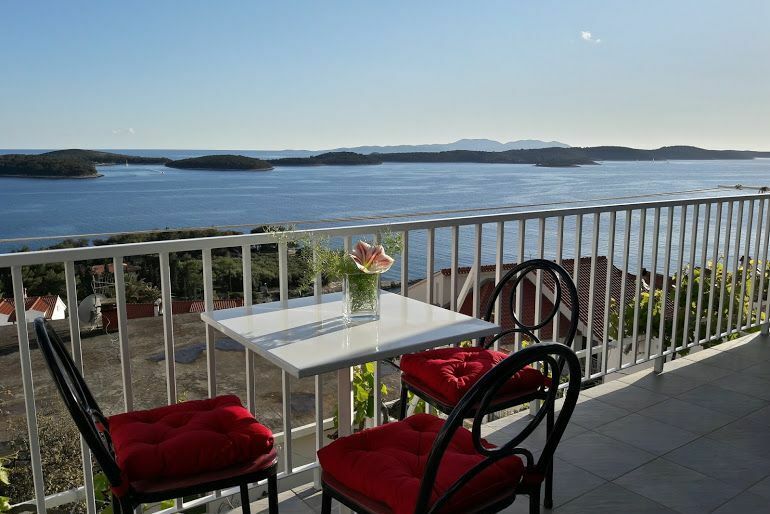 It's in a quiet part of the city of Hvar where you can enjoy the breath taking view and beautiful sunsets. 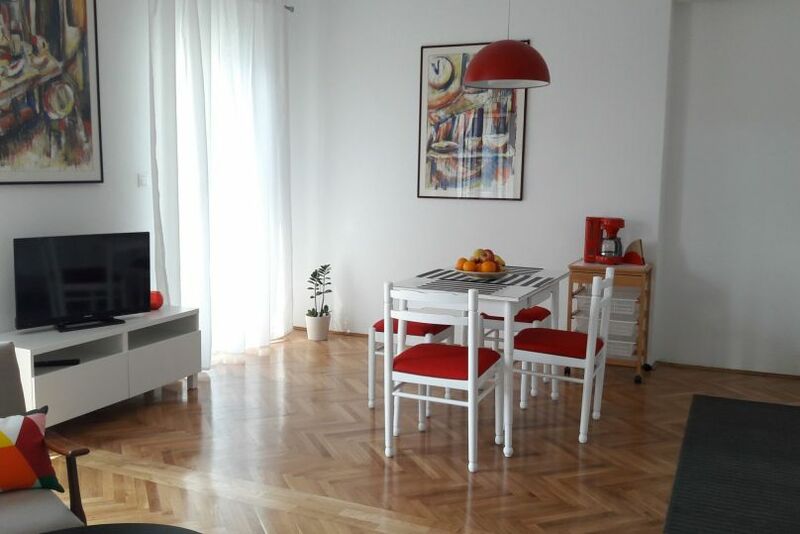 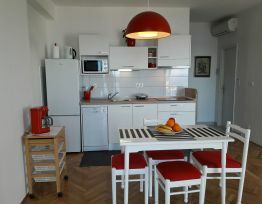 Apartment has one-bedroom and living room with kitchen all in one space. 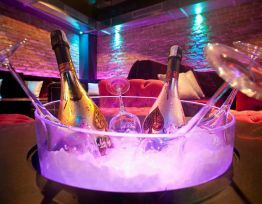 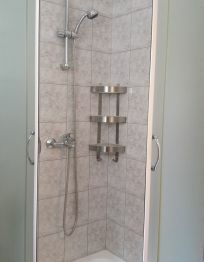 It is suitable for two, three or four persons. 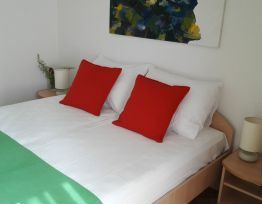 Bedroom has one double bed and in the living room is sofa bed if there are more than two of you. 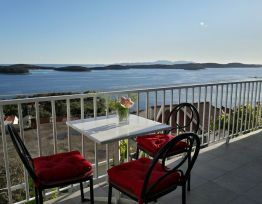 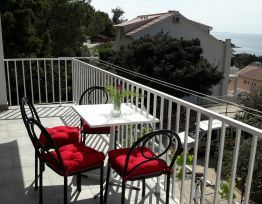 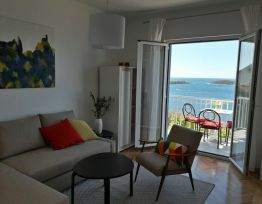 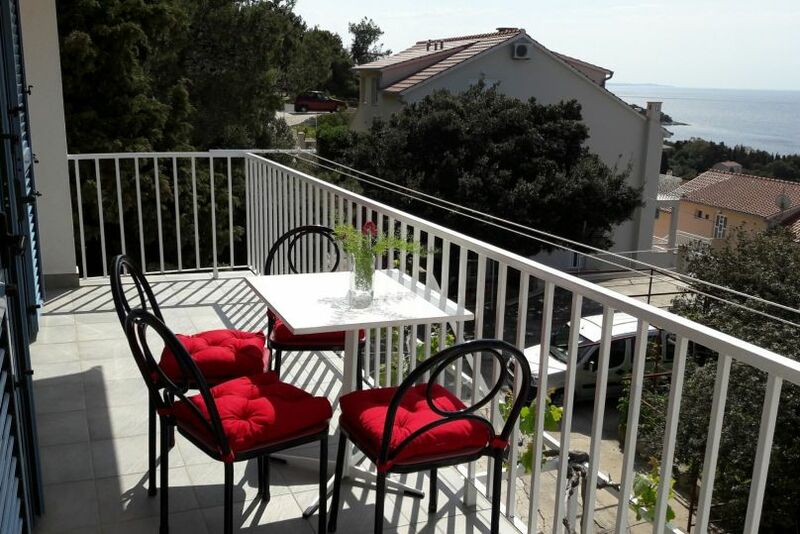 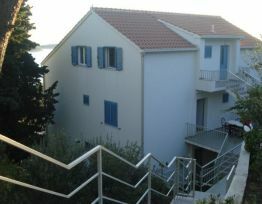 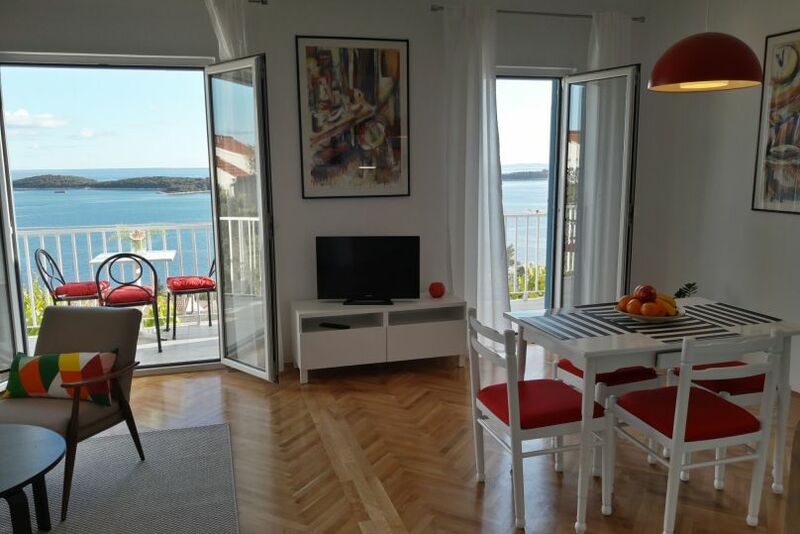 It has a long balcony looking at the sea and islands called Pakleni. 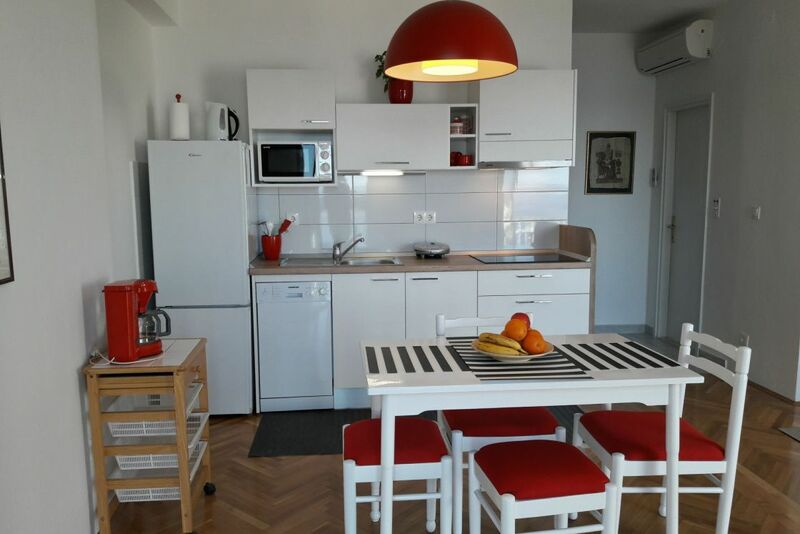 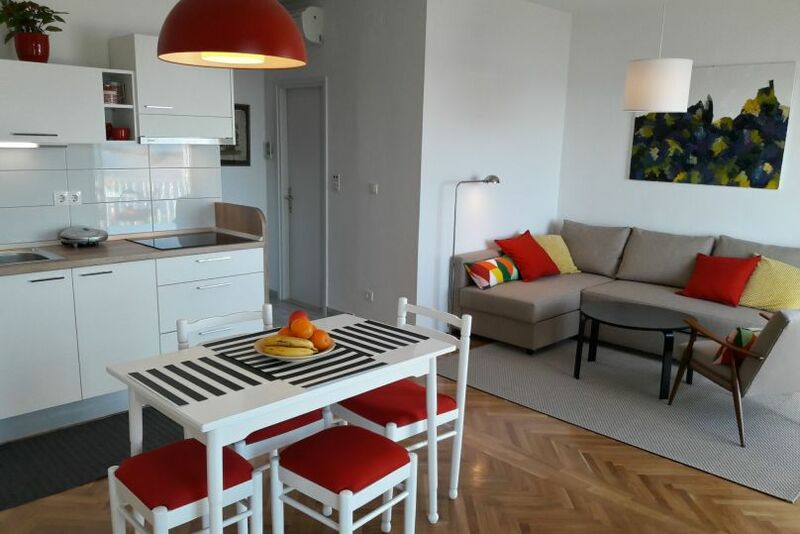 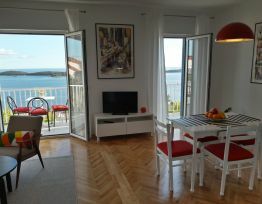 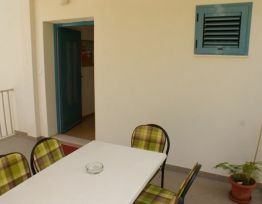 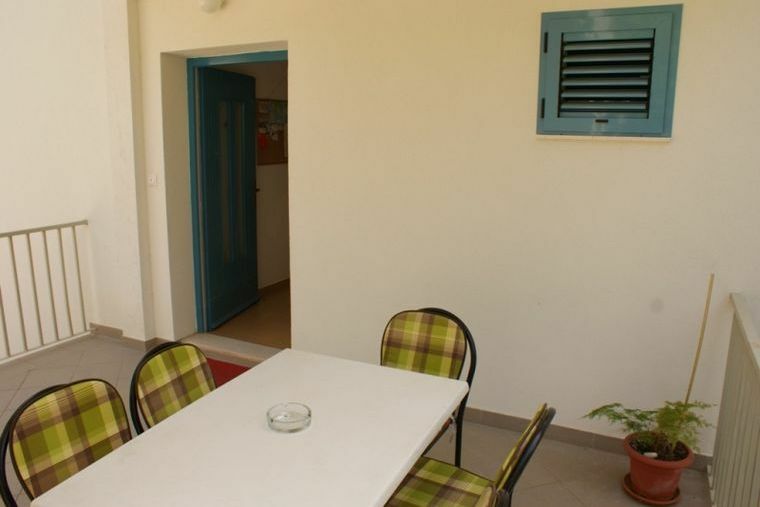 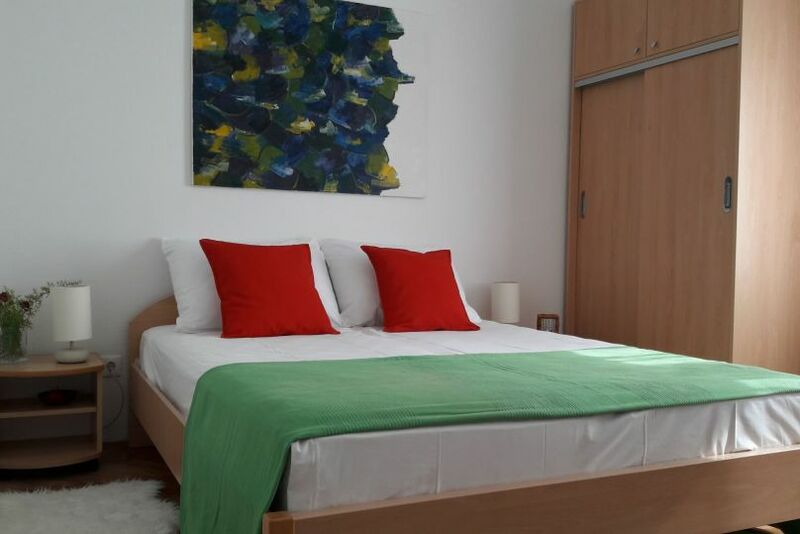 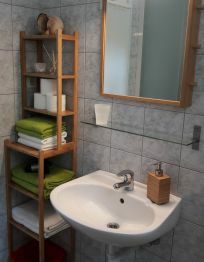 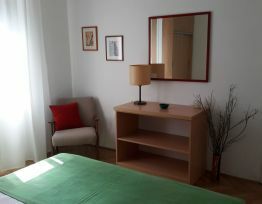 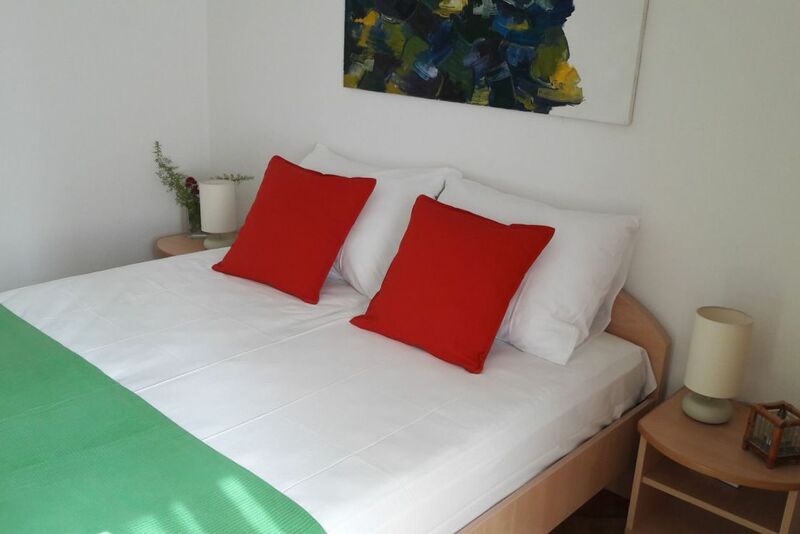 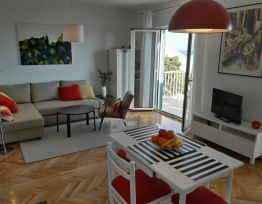 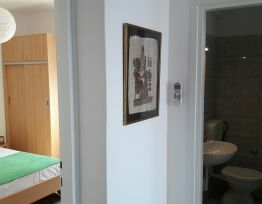 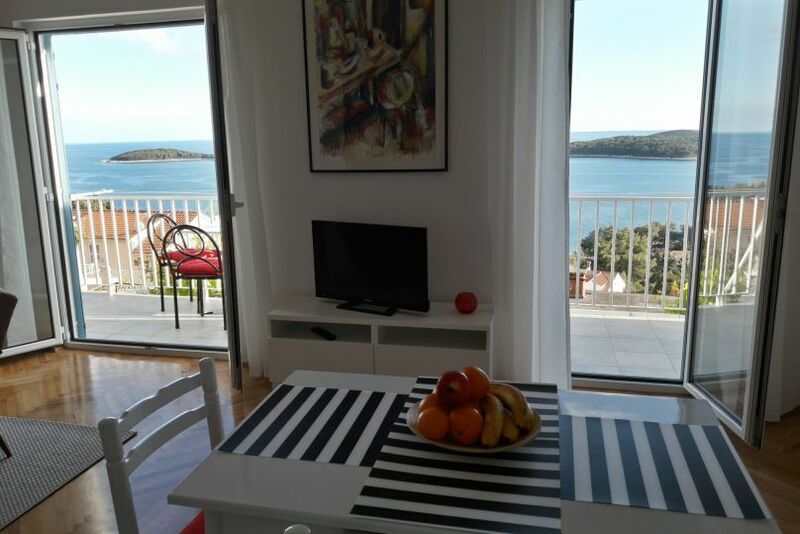 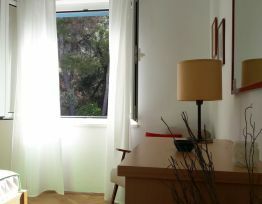 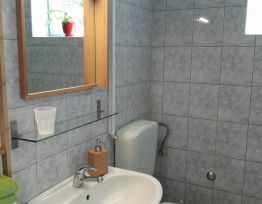 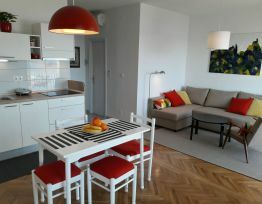 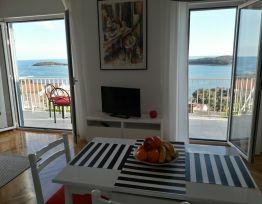 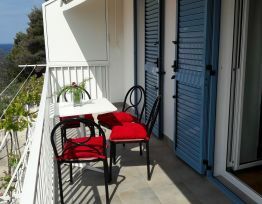 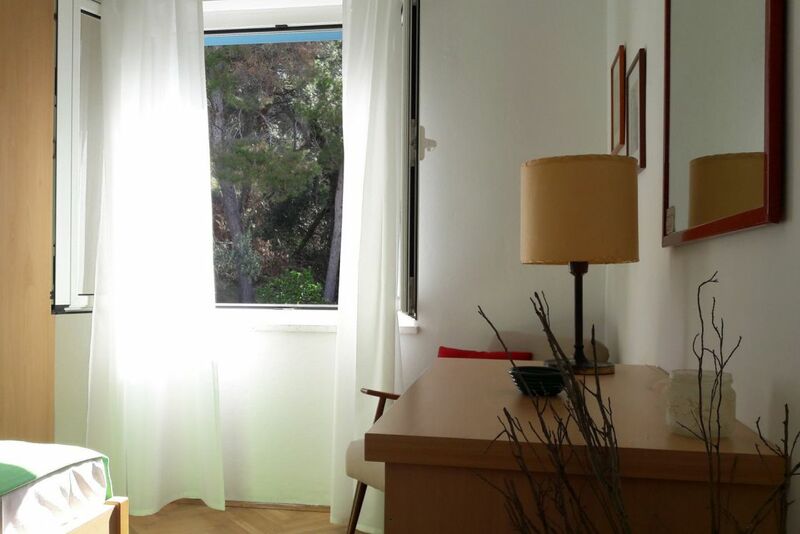 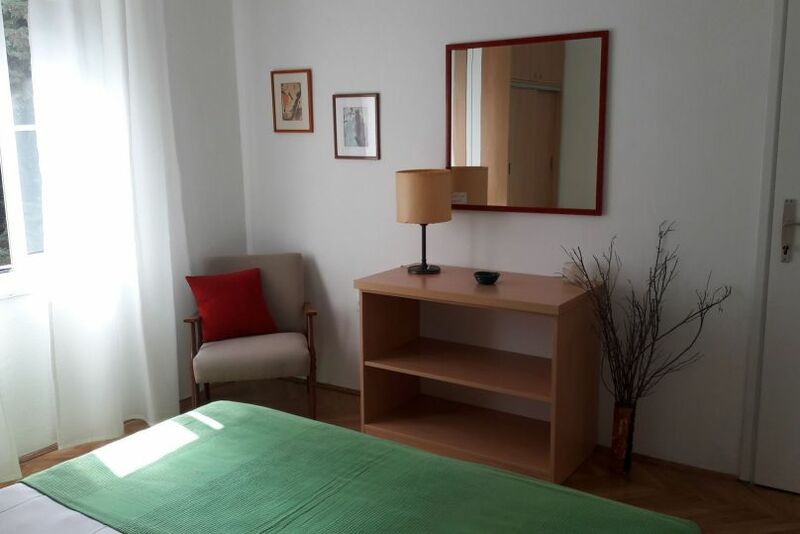 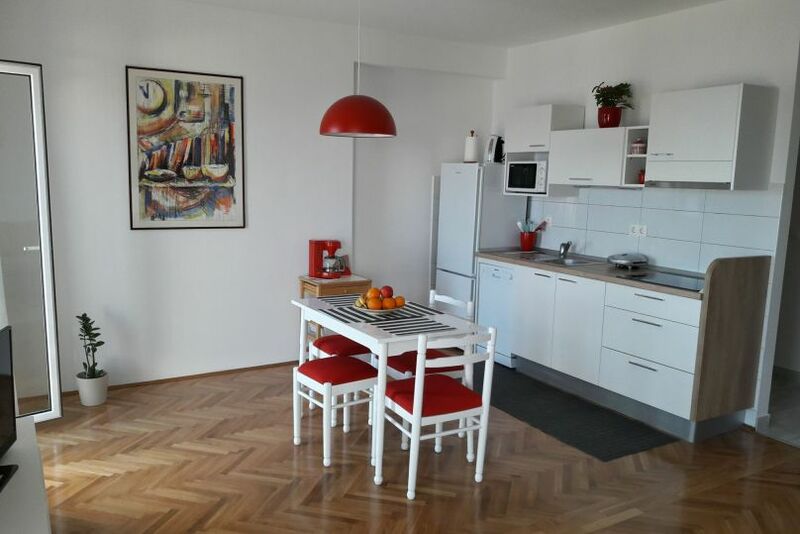 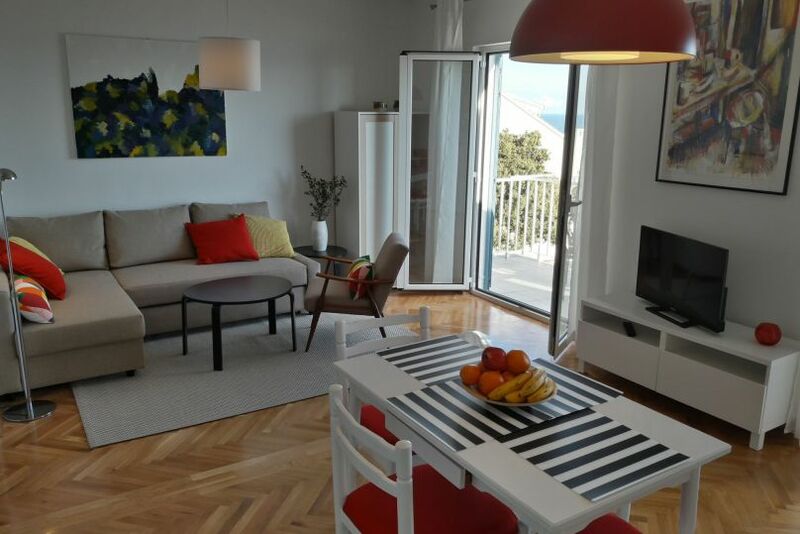 There is well equipped kitchen with everything you may need: fridge, dishwasher, microwave, coffee machine and toaster. 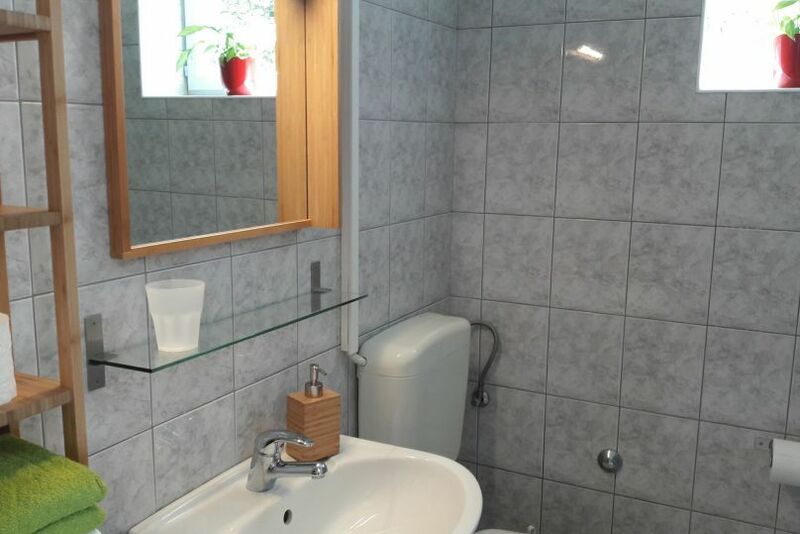 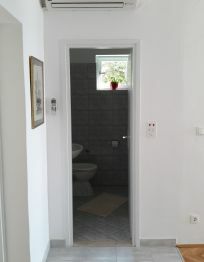 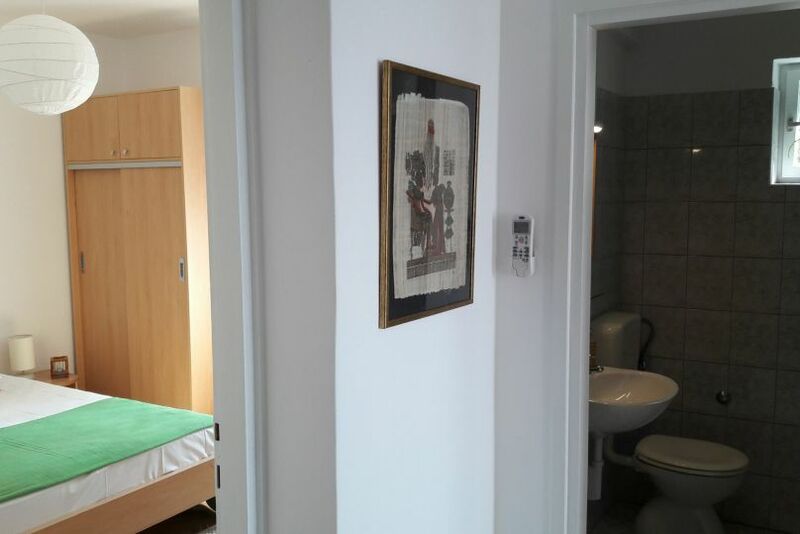 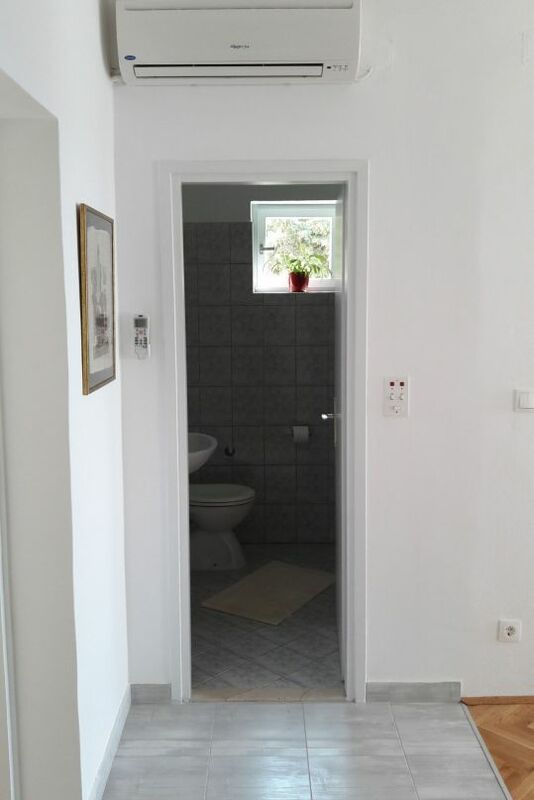 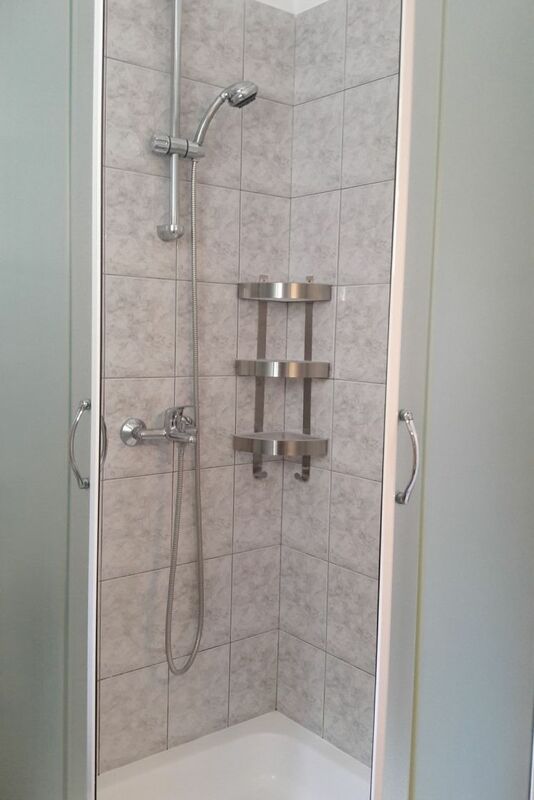 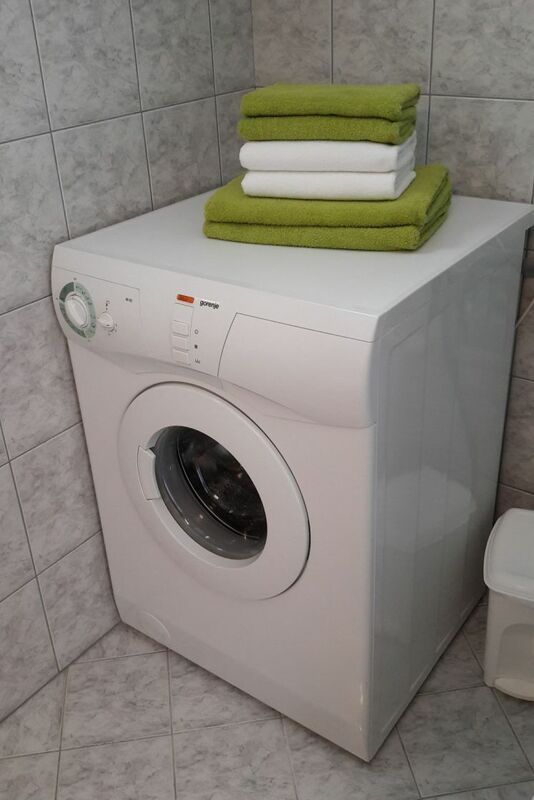 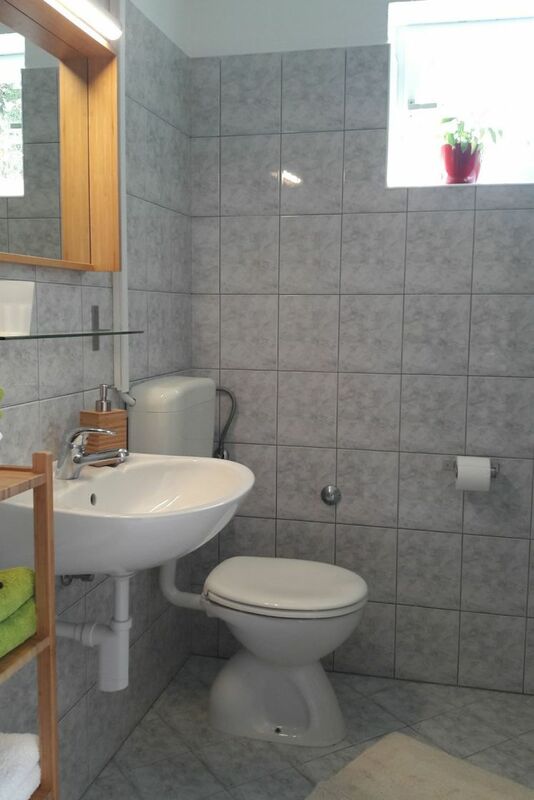 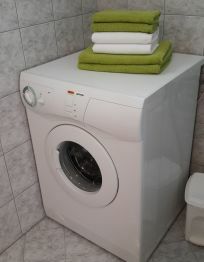 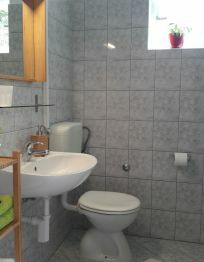 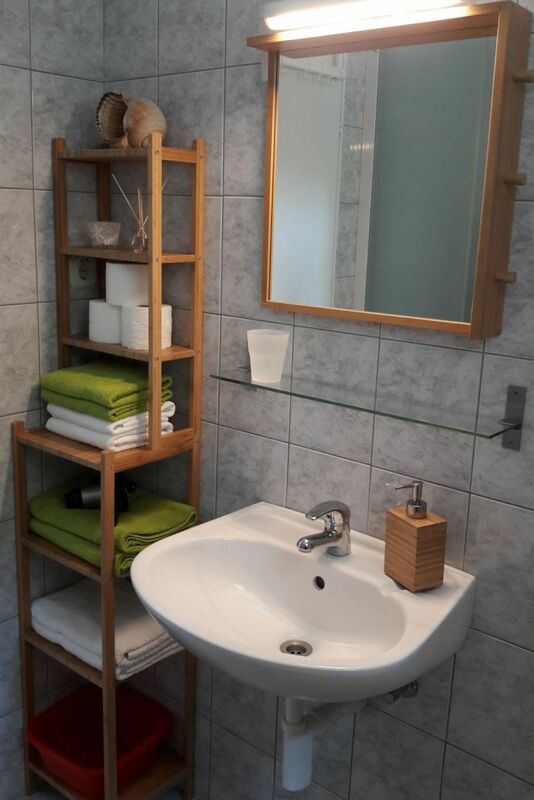 Bathroom has shower and washing machine. 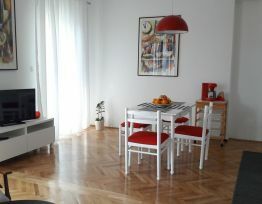 Apartment has an air condition, flat sat TV and Wi-Fi internet. 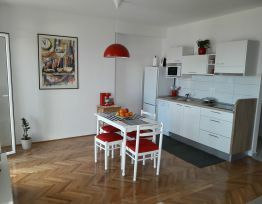 Stay less than 4 days increases price for 30 %. 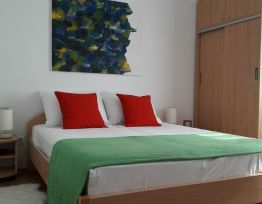 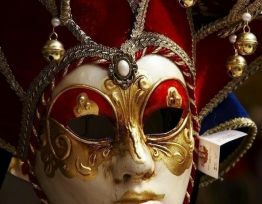 Stay more than 21 days reduced price for 0 %.